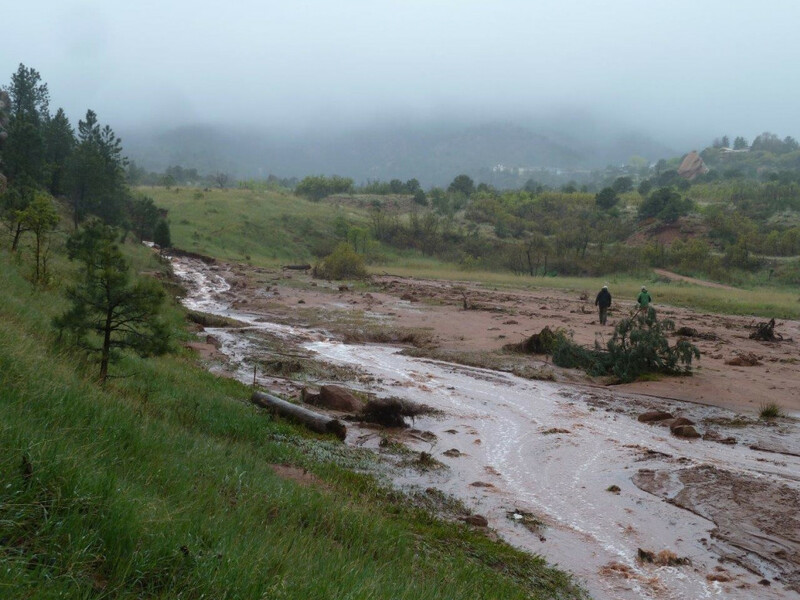 Record rainfall this month—upwards of the 8.1-inch-record set in 1935, according to The Gazette—has wrecked havoc on local trails, and you've likely seen reports and warnings of trail damage and closures around Colorado Springs. 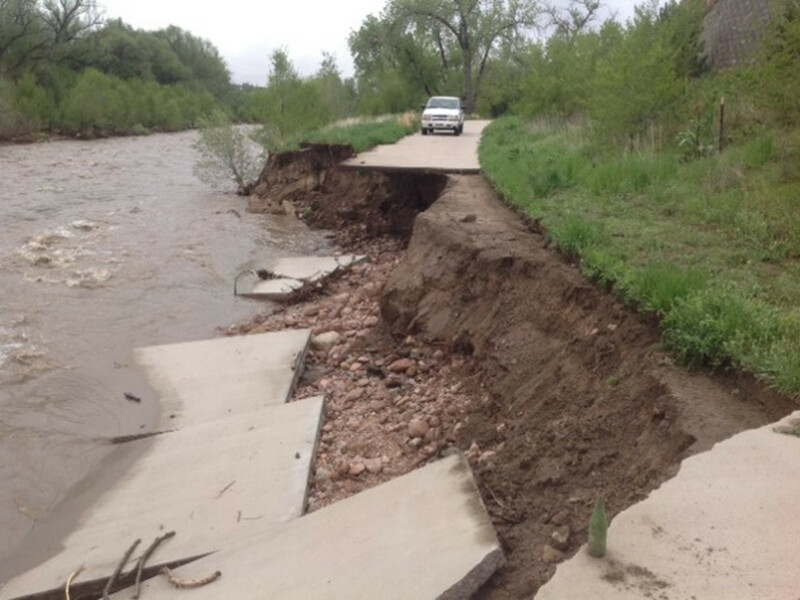 What you need to know, according to Eileen Healy, Membership, Outreach and Admin Director for the Trails and Open Space Coalition, is that most of the closures are due to damage, not high waters. So even though the heaviest storms may be passing, water drying up, and the sun shining again, the impact on our trails will last for some time to come. "We are asking that people respect the closures and let the crews do their jobs," Healy says. 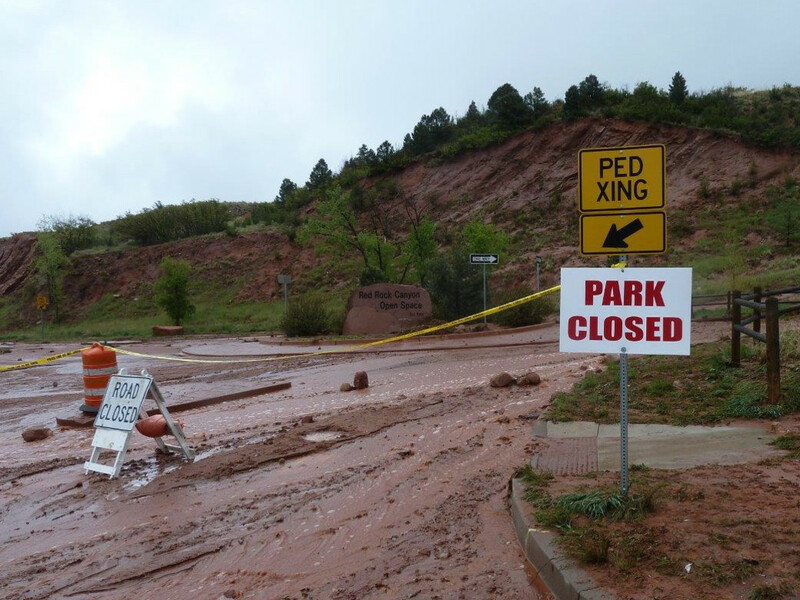 And while Mayor Steve Bach signed a local disaster declaration on May 18 and Colorado Springs City Council approved $1 million in emergency funds for parks on May 26, it's going to take at least a few weeks for repair work to be completed. Section 16 was closed for a few days, but has since been reopened. Connector trails from Section 16 into Red Rock Canyon are still closed. Barr Trail is not closed, but TOSC reports significant damage above No Name Creek (and still a lot of snow in the area), so the organization cautions hikers to be careful when in the area. TOSC is keeping an as-up-to-date list of park, trail, and open space conditions as possible, so check out their website for changes and specific details before heading out. If you do make your way to some of the still-open areas, Healy says it's just as important to watch out for debris and trail damage. "There are spots in Monument Valley Park, for instance, where there are holes in the west side of the trail from water runoff. 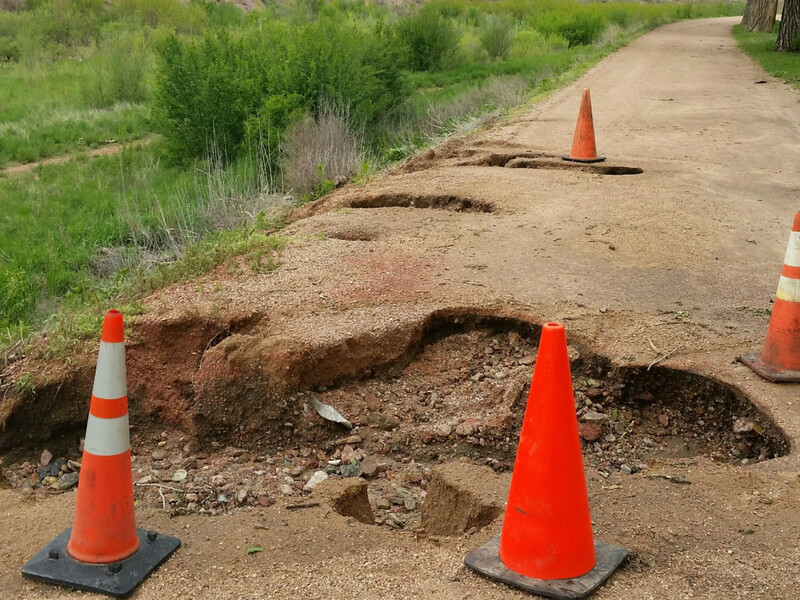 The largest damaged part is four feet by three feet or so, and it has cones around it, but there are lots of places where there are smaller areas that have eroded." Rock climbers also need to be careful because, according to the City of Colorado Springs, many local rock formations are saturated, and sandstone, in particular, is "very fragile when wet." Healy notes that we all have a bit of cabin fever—which means when the sun comes out, so do the crowds. "We ask that people be kind to one another on the trail," she says. "People on bikes should slow down, and call out or use their bell when approaching hikers from behind, and walkers should at least leave one earbud out so they can hear signals and pay attention to what's going on around them." Is Grand Junction the Best Biking Town in America?